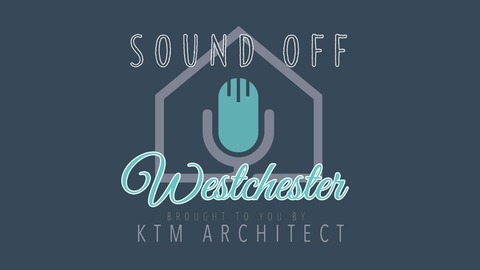 Sound Off Westchester is the show that introduces you to hard working entrepreneurs in the Westchester, NY area. 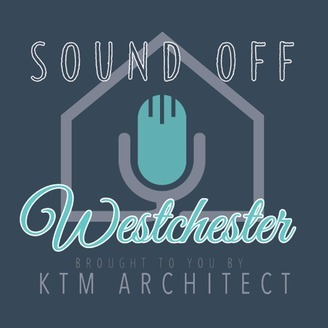 We have double the architects on this episode of Sound Off Westchester. Kim sits down with longtime friend and fellow architect, Emilia Ferri. They discuss their ever-changing industry and the importance of taking big chances when it comes to your business. Stick around for Kim's small business tip at the end of the episode. Helpful Links: Find out more about Emilia Ferri Architecture + Design by visiting www.Emiliaferridesign.com Contact Emilia directly at emiliaferridesign@gmail.com\ Follow her on Instagram @emiliaferri_architecture Follow her on Facebook at facebook.com/emiliaferri.architectur Find her on Houzz at houzz.com KTMArchitect.com Learn About Kim Follow @KTMArchitectNY on Twitter Follow @KTMArchitect on Instagram Follow KTM on Houzz Like KTM on Facebook Like Sound Off Westchester on Facebook Special Thanks: How I Became Invisible for writing the theme song, Jet Chester • Find more of his music at HowIBecameInvisible.bandcamp.com Martha Lynn Laski for designing the Sound Off Westchester logo • www.MLLGD.com This podcast is produced, engineered, edited and distributed by Jo Pincushion, LLC. Ep 07: Michael J. Murphy of Murphy Brothers Contracting, Inc.